In all areas of his practice, Chris has continually demonstrated that through thorough preparation and an in-depth knowledge of the relevant facts and applicable law, he is the best position to bring about a favorable outcome for his clients. 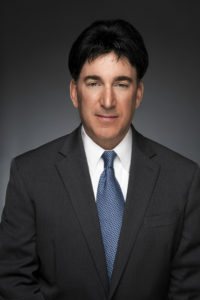 Over his twenty years of practicing law, Chris has successfully represented clients in a wide range of litigation matters as diverse as legal and accounting malpractice, employment disputes, personal injury claims, family law disputes, and a million dollar federal income tax dispute which turned on his successful cross- examination of an FBI handwriting expert regarding the validity of what the government claimed was his client’s signature. Chris recognizes that in order to obtain the very best “net” benefit for his clients in any legal matter requires both a cost-benefit analysis to the litigation, as well as an in-depth consideration of the likelihood of success of various potential tactical approaches to the ligation. In all legal matters his clients in trust to him, Chris takes a holistic approach and places obtaining the optimal outcome for his clients as the driving consideration. Together with the other members of the firm, through his experience, preparation and a devotion to his clients’ success, Chris continues to build upon his twenty plus years of litigating all facets of a diverse spectrum of legal matters to best serve his clients’ overall interests. In addition to his professional commitments, Chris is also an active member of his community. Chris is the current chairman of the Deerfield Park Foundation, as well as a member of the District 109 School Board Caucus and the Deerfield High School Athletic Booster Club. The legal team at Perl & Goodsnyder, Ltd., is composed of skilled and successful litigators who combine 50 years of trial experience involving multiple legal practice areas. They provide a level of full-service legal representation that can match the largest law firms in Chicago. Contact Perl & Goodsnyder: (312) 243-4500.